This season of the Vampire Diaries, has been so enjoyable. One of the “evil” vampires we’ve come to love, Katherine, was made human at the end of the last season and dealing with her humanity has been interesting. This scene, in particular, made me laugh my head off. I thought to myself, I should make an animated GIF of that, but thankfully, She is electric, can I be electric too? did it for me! Katherine’s descent back to humanity has been coupled with an insatiable desire to EAT. The next time you feel like Katherine in her newly human form and want to eat your way through the buffet line, remember to eat REAL food, not packaged poison. The Perfect Fit For Every Body? Shame On You, NIKE!! I was at Dillards the other day and I saw this display. 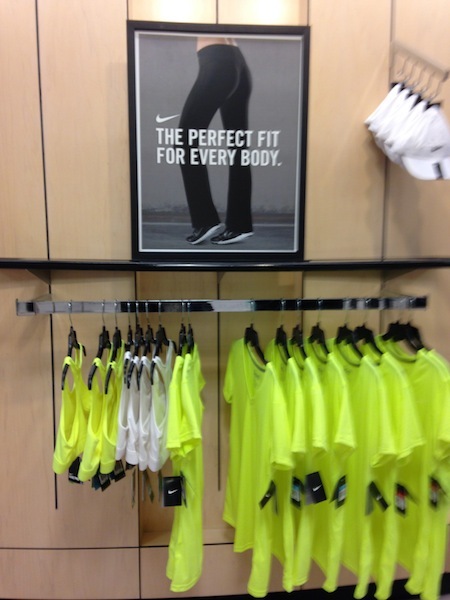 I needed some workout clothes, so I wandered over there to see what they had. Unfortunately, the “Large” size that they had couldn’t have been bigger than a size 12. 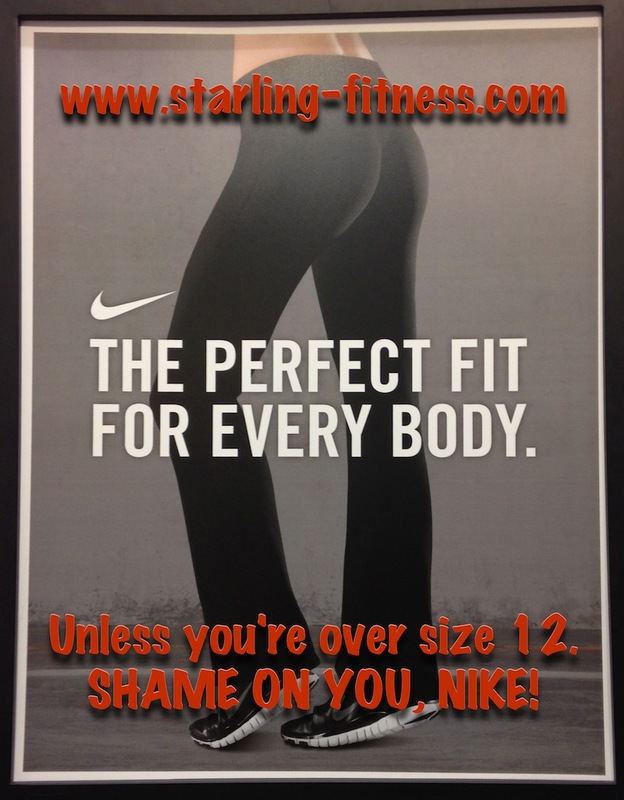 Shame on you, Nike! Starling Fitness – Fitness, diet, and health weblog » Nike! What The BLEEP Is The Matter With YOU?! The fact that they don’t carry a size for me when I’m fifty pounds lighter, just tells me that they aren’t an athletic clothing company. They’re a fashion clothing company just like Kenneth Cole. They don’t want “fatties” like me wearing their clothes and giving them a bad name. I wrote that entry in 2006. It’s SEVEN years later and they are STILL making the same mistakes. I was going to write an entry about the new Nike App called Nike+ Move that would turn your iPhone 5S into a device that monitors your every move like a FitBit, ActiveLink or Fuelband, but I don’t even want to give them a link now. In the end, we left Dillards and went to Forever 21. 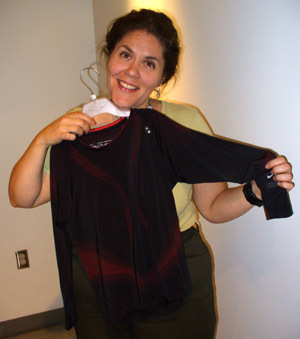 They had plenty of exercise clothes to fit me. You can survive for a LONG time without food, depending on your fat stores, but you can only last a couple of days without water. What happens when you do? This video from SciShow explains the gory details. Most diets recommend that you drink 6-8 glasses of water a day to keep hydrated, which is a good idea considering that many people turn to food when they’re actually thirsty. So remember to drink your water so you don’t get dehydrated.